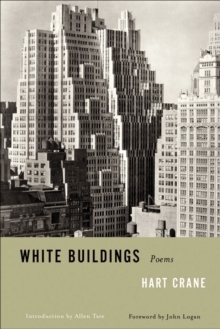 This edition features a new introduction by Harold Bloom as a centenary tribute to the visionary of White Buildings (1926) and The Bridge (1930). 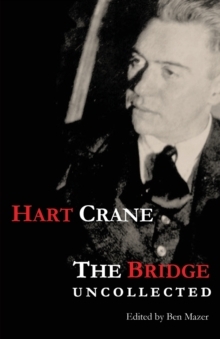 Hart Crane, prodigiously gifted and tragically doom-eager, was the American peer of Shelley, Rimbaud, and Lorca. Born in Garrettsville, Ohio, on July 21, 1899, Crane died at sea on April 27, 1932, an apparent suicide. A born poet, totally devoted to his art, Crane suffered his warring parents as well as long periods of a hand-to-mouth existence. He suffered also from his honesty as a homosexual poet and lover during a period in American life unsympathetic to his sexual orientation. Despite much critical misunderstanding and neglect, in his own time and in ours, Crane achieved a superb poetic style, idiosyncratic yet central to American tradition. His visionary epic, The Bridge, is the most ambitious and accomplished long poem since Walt Whitman's Song of Myself. 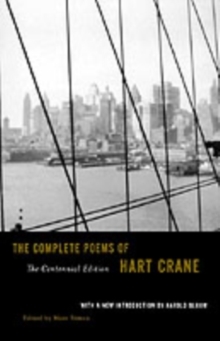 Marc Simon's text is accepted as the most authoritative presentation of Hart Crane's work available to us. For this centennial edition, Harold Bloom, who was introduced to poetry by falling in love with Crane's work while still a child, has contributed a new introduction.